Be quiet! 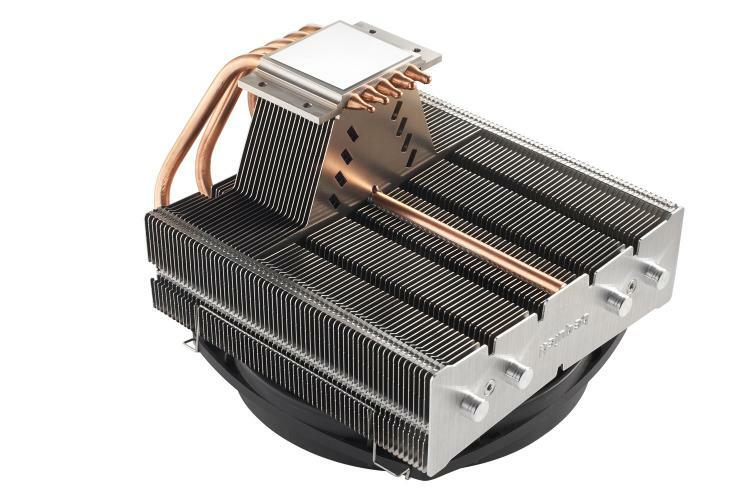 releases the Shadow Rock TF 2 CPU cooler, the brand’s most powerful yet compact top-flow CPU cooler. Be quiet! added improvements and optimizations to its low-profile design making it support TDPs of up to 160W. 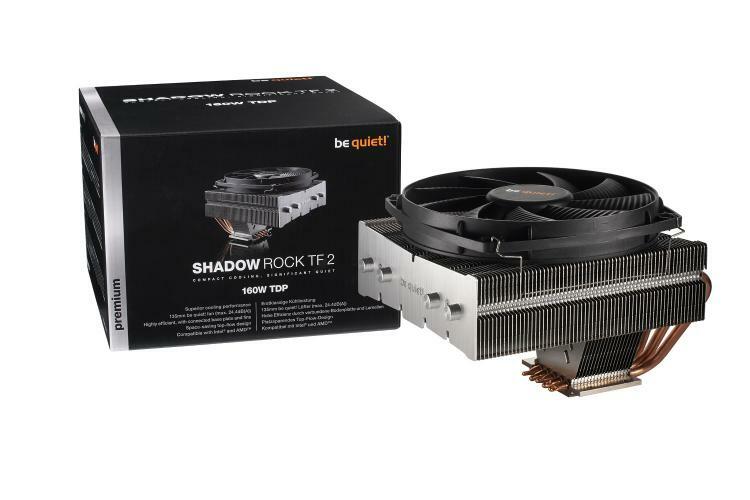 The Shadow Rock TF2 is great for compact gaming PCs and HTPCs that require a more powerful cooling solution than typical low-profile CPU coolers. The Shadow Rock TF 2 with its top-flow design is just 112mm in height including the fan which doesn’t only provide cooling for the processor but also the critical components beside the CPU socket. It is ideal for cooling compact form factor PCs. It is compatible with both Intel-based and AMD-based sockets including AM4. The Shadow Rock TF 2 cooler packs five 6mm copper heat pipes with aluminium caps at the ends. The cooling fins are redesigned that features direct connection between the base and fins for faster heat dissipation. 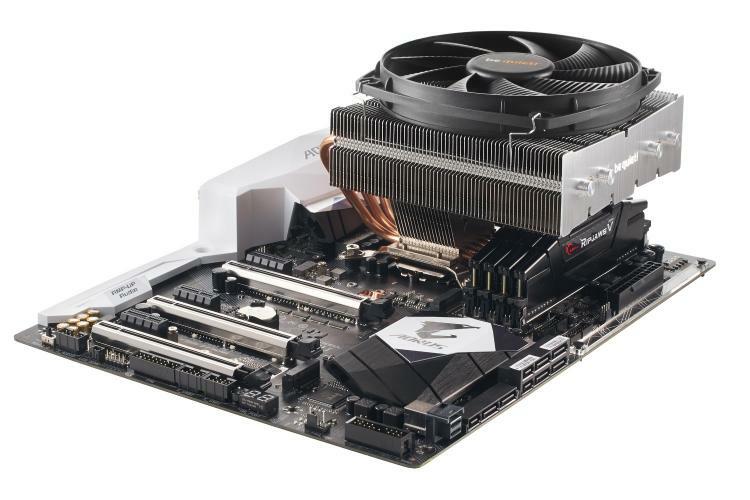 Along with its 135mm cooling fan producing sound pressure levels up to 24.4dB(A) at 1,400 RPM, the cooler runs with better acoustics compared to its predecessor while also rated to 160W TDP. The Shadow Rock TF 2 is a proud product of German engineering, world-renowned for superb quality. It offers great combination of performance and value. Be quiet! also backs up the cooler with a 3-year warranty. The be quiet! 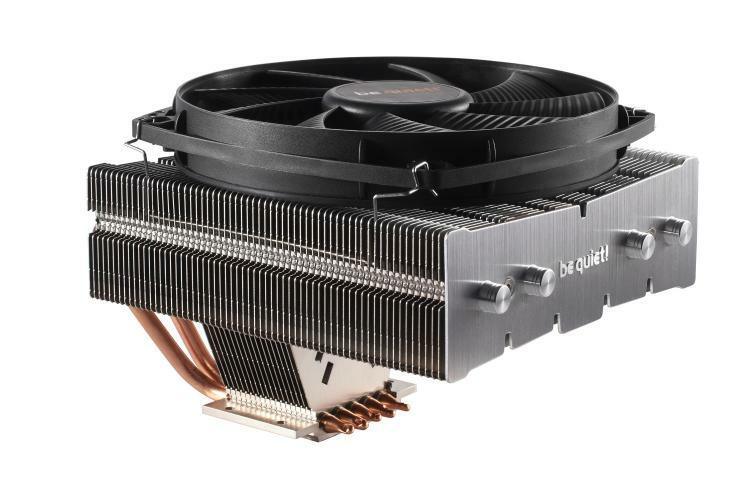 Shadow Rock TF 2 CPU cooler is now available with an MSRP of €60 / $60 / £54.99.